Whether it’s local government, private enterprise, or law enforcement, organizations of all varieties are tasked with responding to a broad range of situations. From equipment failures to market disruptions, organizations need to be prepared with the right tools. That’s where the concept of a common operational picture comes in. Emerging technologies are coming to scale that can help decision-makers manage incidents as they unfold. The Internet of Things (IoT) and data analytics platforms, for instance, make it possible to collect accurate data from a wealth of sources and combine that into actionable insights. With a situational awareness platform, organizations can leverage these discrete technologies to form what’s called a common operational picture, or COP. Used for years by the Department of Homeland Security, a COP establishes an informational framework that keeps decision-makers across the spectrum on the same page. Information is only as good as its source, and if its source is outdated, the information loses value. Old intelligence ceases to be useful the moment it no longer accurately reflects the present state of things. Organizations need to understand what’s going on in the here (or there) and now to take the appropriate action. With real-time information provided by a range of digital assets and boots on the ground — information that updates as the situation changes — COPs won’t leave teams in the field or at headquarters guessing between updates. Take a large venue during a concert, political rally, or special event. In order to best distribute personnel and resources to ensure maximum security, event managers need to know where and how their teams are currently deployed, the distribution of attendees, the locations of persons of interest, and the highest-priority threats. But consider how quickly these data points are liable to change: at intermission, during a set change, in the event of an active shooter threat. Crowds and security personnel are constantly on the move, and to effectively manage these crowds, decision-makers need to know where they are and what they’re doing at all times. 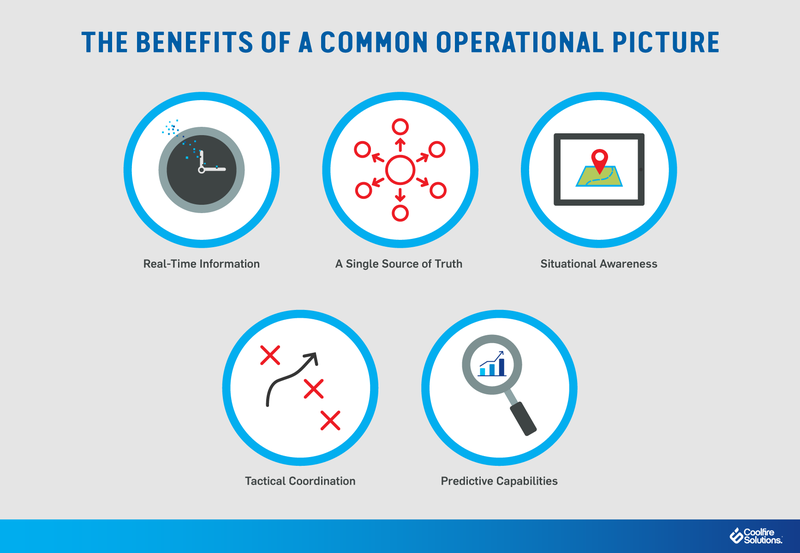 A well-architected common operational picture can enable this intelligence with real-time data. Even with the best of intentions, a well-planned strategy can fail spectacularly if those involved aren’t acting based on the same information. Indeed, relying on a single source of truth is an essential prerequisite toward mobilizing organized, effective responses. Without it, first responders might walk into dangerous situations that were previously safe and decision-makers might (mis)direct resources to an area that’s no longer the most critical flashpoint. With a common operational picture integrated into your response efforts, you won’t have teams dispersed across your premises acting on different information from different sources at different times. The core capabilities of a COP ensure that everyone coordinates their efforts based on the same information. 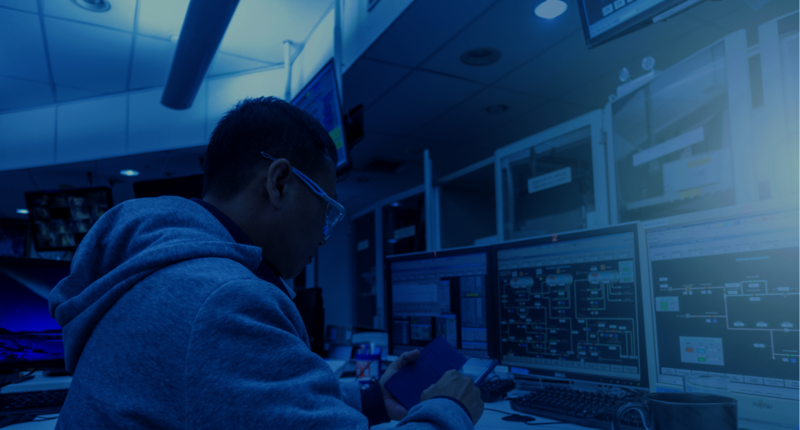 By feeding real-time data into a platform built to deliver situational awareness, organizations can ensure their people aren’t just working off the same information, but the right information. While a regional operator at an electrical grid might need to see how much power is coming off a local solar co-op 300 miles away, his electrical inspectors will probably require a picture that’s tailored to his or her area of expertise. Situational awareness doesn’t mean having access to all the information — it means delivering just the information that each individual needs to make the right decisions in the context of their unique environments. Of course, for executive-level managers, they’ll still want end-to-end visibility over the entirety of their operation, whether they’re managing a complex supply chain or directing work crews in the field after a power failure. With situational awareness enabled by IoT devices and other assets, COPs have the capacity to give team members not just the complete picture, but the right one. A regular obstacle to crisis management is the difficulty of coordinating between central command and teams operating on the tactical edge. While smartphones have certainly made it easier to stay in touch, it can still be challenging to ensure that boots on the ground are operating with the best information and a clear understanding of wider response efforts. COPs can resolve this persistent bottleneck. If field crews have questions about a developing situation, they don’t need to wait for updates from central command — updates that may be difficult to get if key decision-makers are putting out dozens of fires elsewhere. Instead, they can tap into COP capabilities to figure out how they fit into a comprehensive, tactical response. Plenty of companies operate from a reactive posture — that is, they wait for things to go wrong and then figure out how to fix them. Such organizations will have to continually play catch-up in situations that demand immediate, efficient responses. Instead, it pays to invest in predictive capabilities that can help companies take proactive action before potential issues become real ones. For example, global supply chain managers need real-time visibility into weather, traffic, border delays, and a host of other variables that can impact their operations. With a common operational picture and powerful data analytics capabilities, the supply chain can identify potential threats and quickly adjust before they cause problems. Predictive capabilities allow organizations to assume proactive postures that streamline operations and cut down on costly reactive responses.